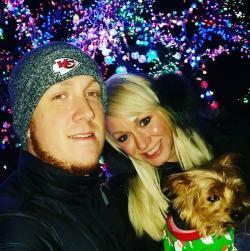 What do you get when you mix KC | OP’s dynamic attractions and landmarks with the magic of holiday lights? Answer: these eight #humblebrag-worthy selfie spots sprinkled throughout the metro. Whether you opt for a filter or go au natural, get out there and spread holiday cheer on as many Facebook timelines and Insta feeds as possible -- and don’t forget to use #KCOP! 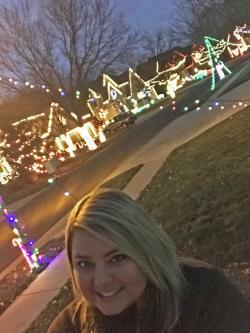 ‘Tis the season to outline your home’s windows and front porches with festive holiday lights. Now, imagine the most over-the-top decorated house in your neighborhood… then multiply that by 23. This extraordinary scene comes to life at Christmas Place neighborhood at 131st & Antioch in OP. Pro tip: use a selfie stick for maximum impact. During the holidays, Crown Center is home to KC’s Mayor’s Christmas Tree, outdoor ice skating, and you guessed it - holiday cheer. 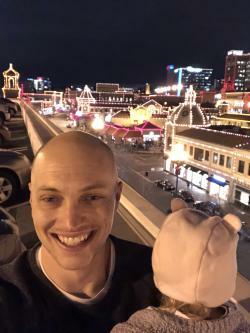 Start with pictures under the Mayor’s massive Christmas Tree, then see if you can pull off a selfie while ice skating. When the pictures are all said and done, head inside Crown Center to warm up with a cup of hot cocoa. Have you ever seen a 210 ft tall Christmas wreath? No? 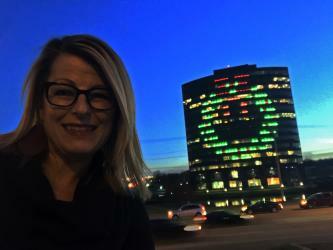 If not, hop in your sleigh and head over to the “Darth Vader” building, on the SW corner of College and Metcalf, to see it lit up like a green and red wreath, stretching 15 stories into the winter sky. This may just be one of the tallest holiday displays in the KC | OP area. Dress the part of Darth Vader for this selfie and dress in all black.Selfie tip… Since this display is so big, grab your selfie stick and try snapping your picture from the opposite side of the intersection. With the farmstead animals away for winter, a new cast of characters has taken over Deanna Rose. 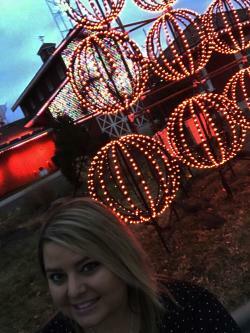 Snap a selfie with Frosty the Snowman, Dancer & Prancer, and of course Old St. Nick as they appear on the large farmhouse building in this mesmerizing synchronized lights display. Boomerang opportunities are endless for advanced selfie specialists. 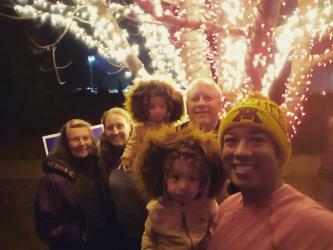 Light up your friends’ Insta feeds with a dazzling selfie in front of the Lee’s Summit Magic Tree at 470 and View High Drive. Flip that camera around to capture the 3,000 twinkling lights as they change colors. And in the spirit of giving, bring along a toy donation for children of deployed and non-deployed military in support of Operation Toy Soldier. Witness a real-life Winter Wonderland at this beloved holiday event featuring thousands of candles and holiday lights illuminating miles of majestic woods at the OP Arboretum. Best selfie spots include the colorful Children’s Garden, on one of the lit-up bridges over water, in front of the multi-color tree, and a #SelfieWithSanta (obviously)! Santa’s elves have really been working hard this year, stringing lights up on 15 blocks of the Country Club Plaza. 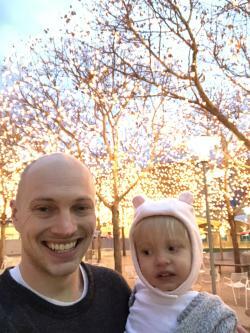 Good luck getting the kids to snap a selfie here, they just don’t want to stop admiring all the lights. Your selfie spots are endless here, whether you snap one while in front of your favorite shop, or on a carriage ride, there is no bad angle. 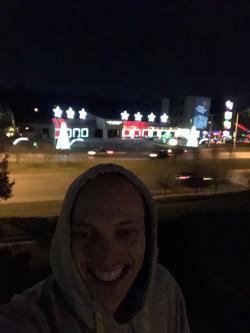 Really step up your selfie game and head to the top of a parking garage to get a bird’s eye view of the holiday magic. Nothing says deck the halls like 200,000 lights synchronized to your favorite holiday music. Yes, you read that right. Two-Hundred-Thousand. And the best part (yes it gets better), you don’t have get out of your car to enjoy what may just be the Overland Park version of The North Pole. Directly across the street at the Emmanuel Baptist Church is prime parking for your selfie. Now crank up the synchronized tunes on 95.5 and start snapping those selfies.